There is no shortage of inspiration when using Arcade but its always great to try new things. 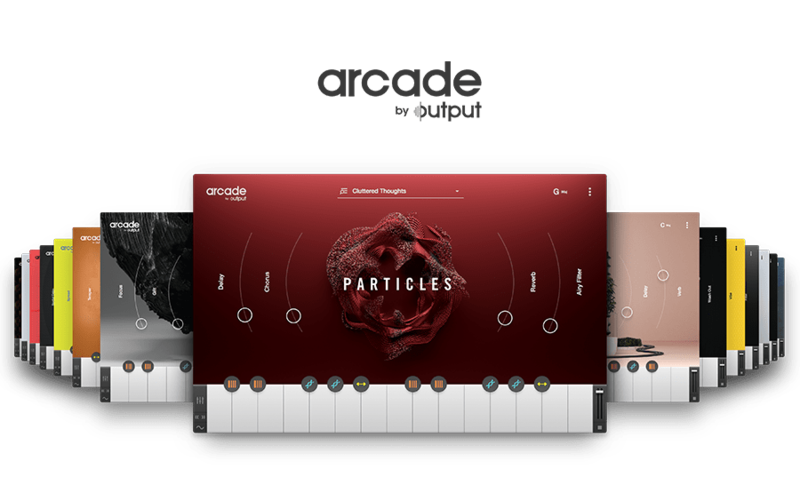 Here’s a list of our 5 favorite plugins under $50 to use with Arcade when we are in a production session or simply having fun chasing the next big sound. First thing first, if you don’t have Arcade, we are offering a 14 day free trial so what are you waiting for? Random Riff Generator is a Max For Live device that generates sequences for you. It is compatible with basically anything that accepts a midi signal. Try using it in combination with Arcade to come up with interesting drum grooves or melodies by simply holding down 1 key. Make sure to set the scale of any kind of Arp or Riff Generator to CMaj/Amin (only white keys) when using them with Arcade. This will ensure that every note generated from the device will trigger a loop in Arcade. DAW LP is a vinyl player simulation plug-in with many fine tuning possibilities. Use it with Arcade to simulate the hum and scratches of vinyl that are so often sought after to give songs a warm vintage feeling. HalfTime transforms any audio into a slowed down, darker version of itself. Use it with Arcade to give your tracks that instant Trap/Hip-Hop feeling made popular by producers like Metro Boomin & 808 Mafia. It is a great alternative to Fl Studio’s Gross Beats but if you are looking for even more control check out their Shaper Box Bundle. If you like the way Haltime transforms audio, make sure to experiment using Arcade’s Playhead modifier. With the option to change the playback speed, direction, and position of any loop, the possibilities are endless. We are obviously big fans of playing audio in REVerse and the Backmask plugin brings a new and fun way to experiment with this technique. You never know what is going to come out when using Backmask and that is the beauty behind it. Load it with Arcade and start twisting some knobs, promise you’ll have an absolute blast! They offer a free version but it is definitely well worth the $20. Scaler is a fun MIDI tool that makes writing chord progressions quick and easy! Once you like the progression you made with Scaler, you can simply drag the Midi to any other virtual instrument like Analog Brass & Winds. If you are interested in Scaler but are looking for even more functionalities, check out the Mixed In Key’s Captain Plugins!